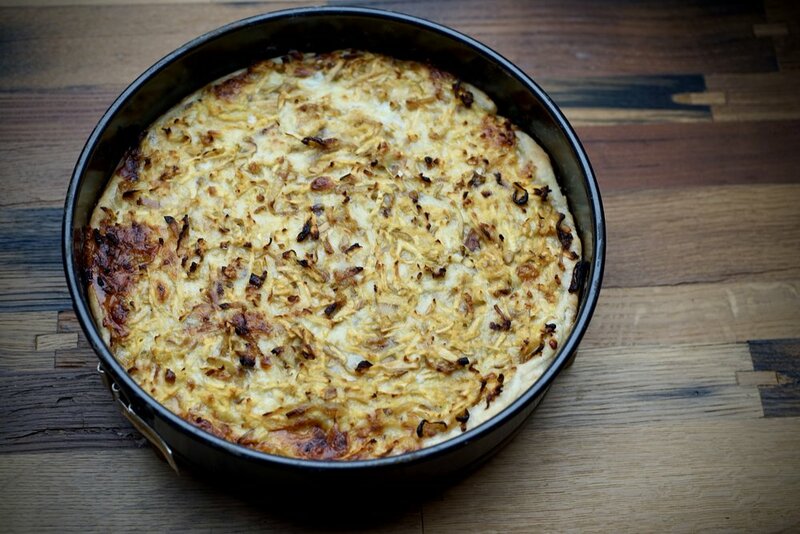 Post Christmas, we had a lot of this Caeseus Helveticus leftover in our fridge—hence the creation of this apple, cheese (and, time permitting, caramelized onion) Wähe. Any hard Swiss cheese—Gruyère, Emmental, Appenzeller, Tilsiter, L’Etivaz, Vacherin Fribourgeoise, (or a mix)—will do. As an aside, all these cheeses have really lovely websites. I used part of a block of leftover Raclette, which worked marvellously. I also added some caramelized onions, though they can easily be omitted if you don’t have time. There is a good tutorial from Bon Appetit. You could also double the quantity and use them in another dish—there’s always room for caramelized onions. A bit gooey, very juicy, and full of sweet and savoury flavour, this Wähe is divine right out of the oven, still a little warm, and paired with a lightly dressed salad. Preheat oven to 200° C / 400° F / gas mark 6. 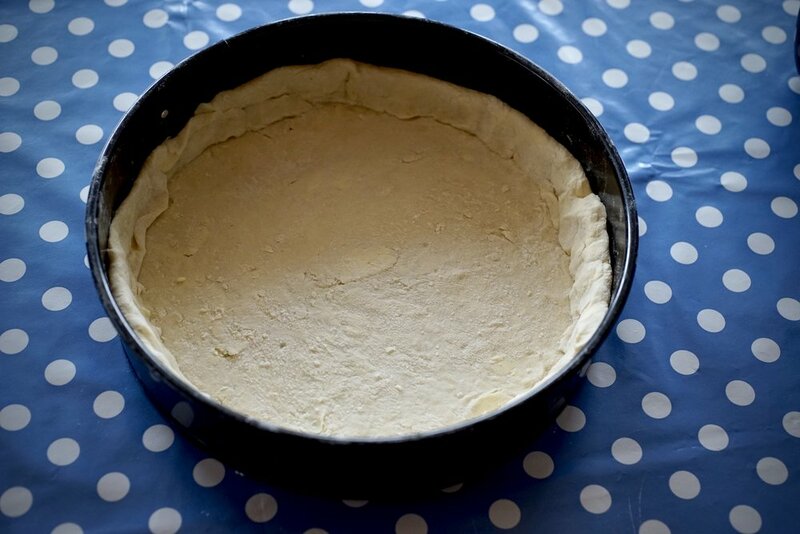 Roll out your dough and line a 26 cm (10 inch) round springform or tart pan. Poke the bottom of the dough all over with a fork, then keep the tart shell cool (preferably in the freezer) until you have the filling ready. Cut the onions in half and slice them lengthwise. Melt the butter in a large frying pan over medium heat. When it splutters, add the onions and cook over medium low heat, stirring occasionally. If they start to stick to the bottom of the pan just add a little water and stir into the onions. 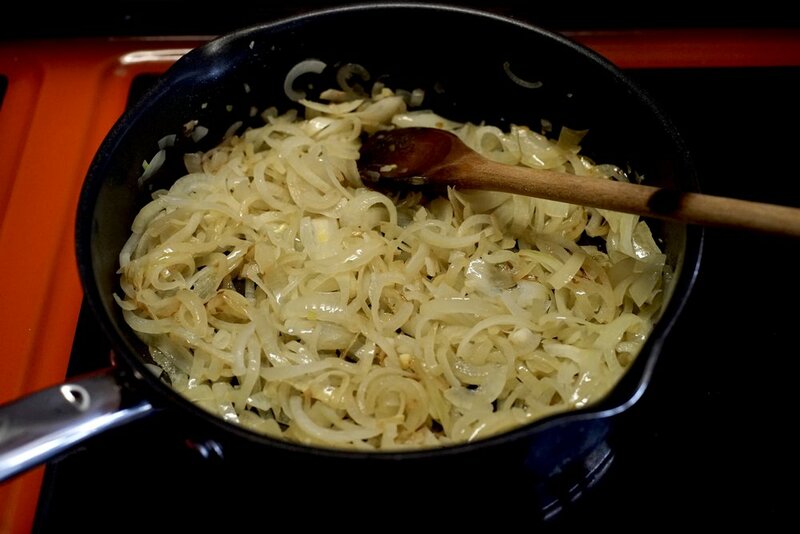 It takes about 30 minutes, sometimes longer, for the onions to caramelize and turn nicely brown and sticky. Let cool. In the meantime, grate your cheese and apples. Once the apples are grated, squeeze out some of the juice with your hands or a tea towel. This prevents the tart from getting soggy. In a large bowl, mix together the apples, cheese and onions. Whisk together the eggs, milk, and seasonings. Get your prepared tart shell, sprinkle with breadcrumbs and fill with the apple, cheese, and onion mixture. Pour the egg mixture over top and lightly swirl it in with a spoon. Bake for about 30-35 minutes, or until the tart is nicely browned on top. I used leftover Raclette cheese in this recipe, but any kind of hard Swiss cheese would suit, such as Gruyère, Emmental, Appenzeller, Tilsiter, or all forms of Berg- and Alpkäse. I did not peel my apples before grating, you don’t notice the skin once the Wähe has been baked and they add a little structure. Be sure to really squeeze out the liquid of the apples, otherwise the tart will be soggy. I used a mix of sweet and slightly sour apples (Gala and Boskoop), which gave it a nice depth of flavour.